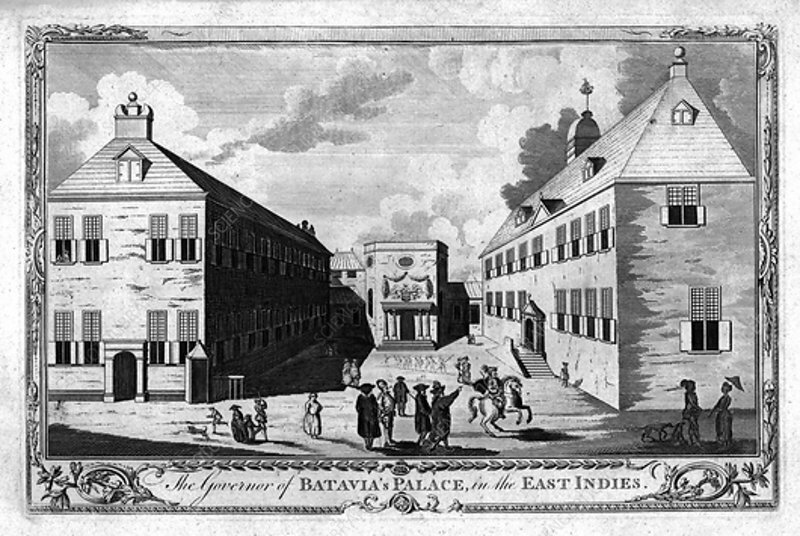 The Governor of Batavia's Palace, in the East Indies. ', c1750. Batavia, the capital of the Dutch East Indies during the colonial period, became the centre of the Dutch East India Company's trading network in Asia. Goods traded included nutmeg, black pepper, cloves, cinnamon, and non-indigenous cash crops such as coffee, tea, cocoa, tobacco, rubber, sugar and opium. Batavia is now Jakarta, the capital of Indonesia.